When it comes to Vegas… anything can happen. High-quality T-shirt feauturing the one and only Zach Galifinakis! And a wolf. When it comes to Vegas… anything can happen. 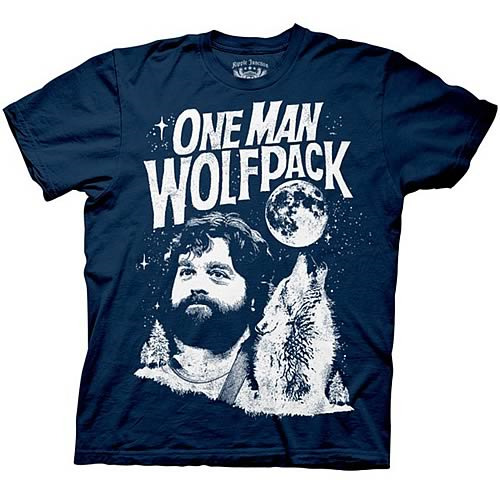 Celebrate the hit comedy The Hangover with this 100% cotton, blue T-shirt. Machine washable. Order yours today! Available in sizes S, M, L, XL, and XXL.